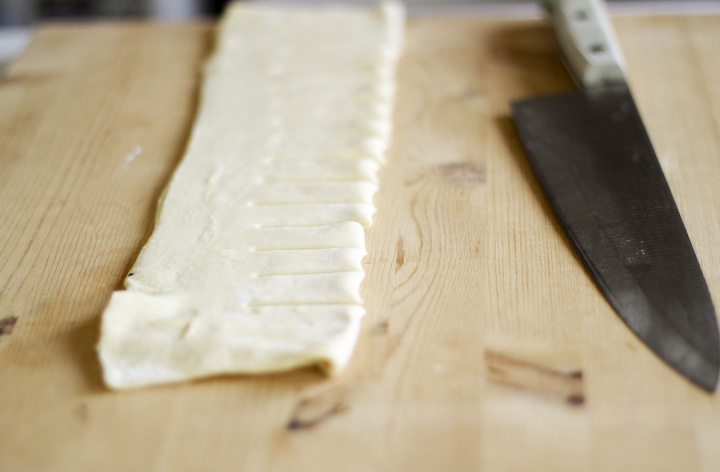 Apple Brown Butter Jalousie — always with butter. 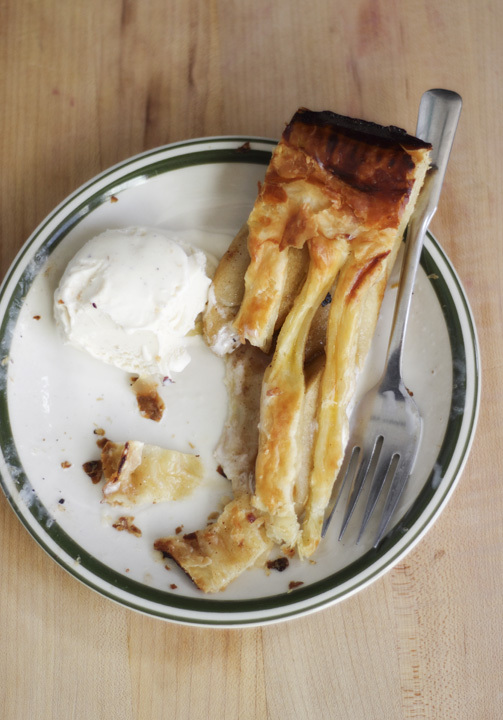 This reminds me of a classy version of one of those mini apple pies you get from McDonalds. Yes this one is bigger, homemade, obviously tastier but essentially the same idea. This feels like a summery dessert to me, perfect for a picnic. Only if it actually felt like summer. It keeps raining, is still cold and I keep thinking it is winter. You would think driving more than two hours south would have some what warmer weather, especially in California, but no it was just as cold. Oh well, I had a lovely weekend. Now I really want to make small versions of this recipe and make little wrappers for them. So they would be like handheld little pies for a picnic. That will have to be done for the next little weekend get away, hopefully in the forest. Agghhh I can just imagine the photos now, i get very obsessive so I will probably make little sketches tonight so I don't forget. Now I am planning the whole little photo shoot in my mind. I am thinking massive summer picnic post, can't wait to actually get time to do it. Ok, so get some good vanilla bean ice cream to go with this. I mean good, like the one with the vanilla bean specks that comes in the little container, not the big one. Oh and Tahitian Vanilla Bean Gelato, from THIS company. Its tops for me, like really great flavor. Side note, that vanilla bean gelato in one hand, a jar of nutella in the other, mix with a spoon. It tastes just like what I would get in Rome, when I went, like 5 years ago but am still craving it. 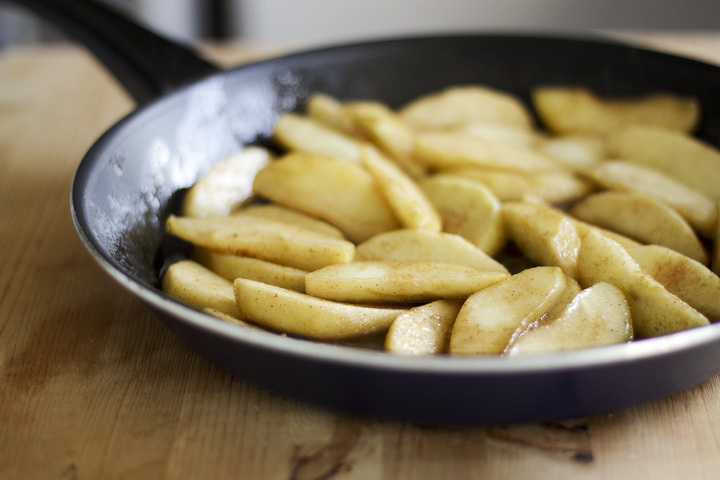 lemon juice, cinnamon, salt & nutmeg. minutes. Cool completly in a bowl. Oven 375. Line a baking sheet with parchemnt paper. in half, lengthwise. Cut 1 1/2 inch slashes, leaving a wide border. Don’t unfold, place over apples, matching edges then unfold.